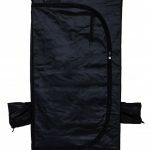 From our range of Trojan Tents grow tents, this beauty is our cheapest yet! 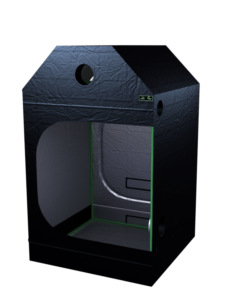 Ideal for sheds, cupboards or even attics! 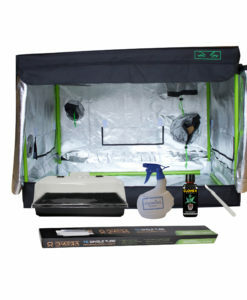 If you’re looking to start your first indoor grow then this is a great grow room for begginers. 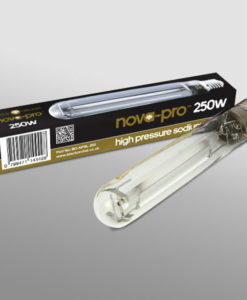 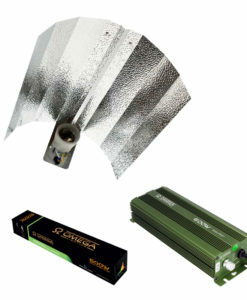 Would be perfect with our 250w HPS, CFLs or LED lights and carbon filter kits. 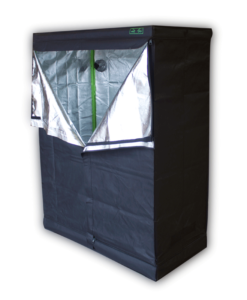 This budget grow tent brought to you by GrowGenius is perfect for growing one or two plants at a time. 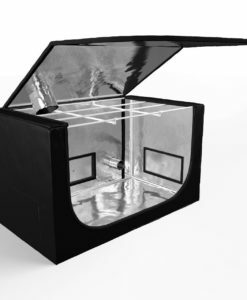 With a sturdy aluminum construction, it’s highly reflective, providing the maximum light to your growing plants. 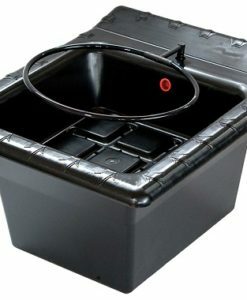 Additionally, it’s waterproof, helping you to create the right water environment for your plants. 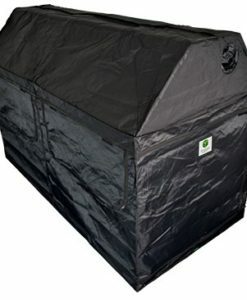 This discreet grow room is black on the outside, and has sock ports for lighting, watering, and other interactions with the plant. 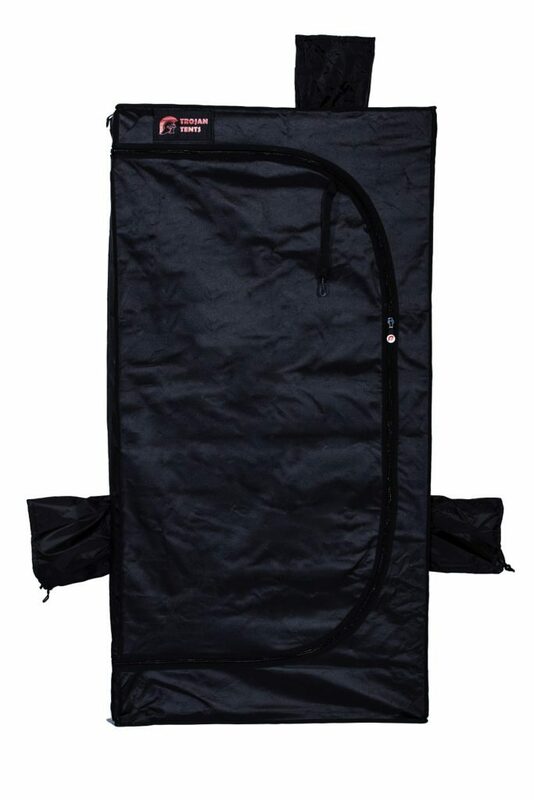 The frame is easy to assemble and disassemble, and fits in small spaces like closets and tool sheds. 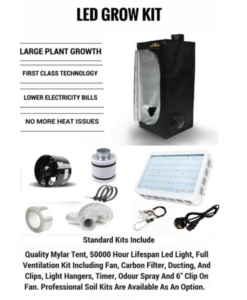 At a size of 60 cm by 60 cm by 140 cm, this product is large enough to grow your plant to decent heights, though still affordable enough for anyone on a budget. 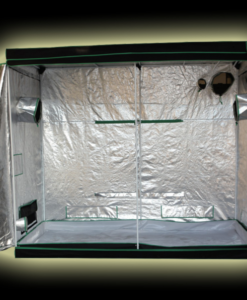 If you’re looking for the perfect grow room, check out this beautifully designed garden from Trojan Tents. 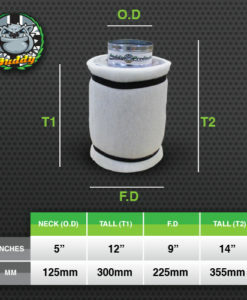 The structure of this product is absolutely outstanding. 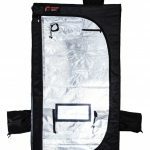 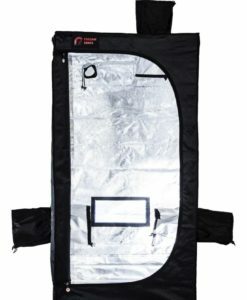 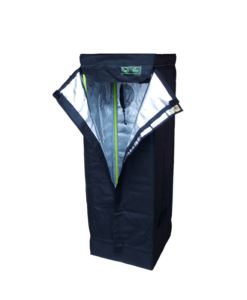 Featuring fast assembly, this Trojan Tents grow room comes with a bag for carrying convenience. 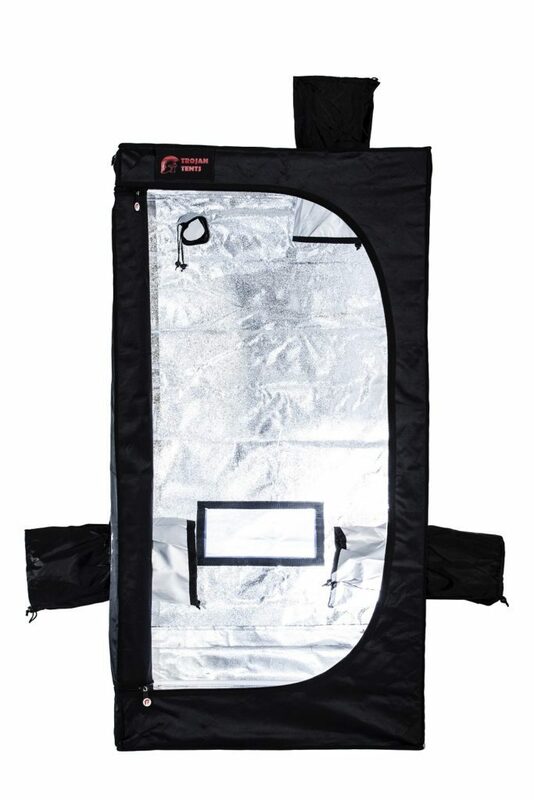 The solid construction of this tent can carry up to 65 lbs of weight on the cross members. 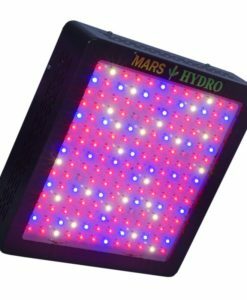 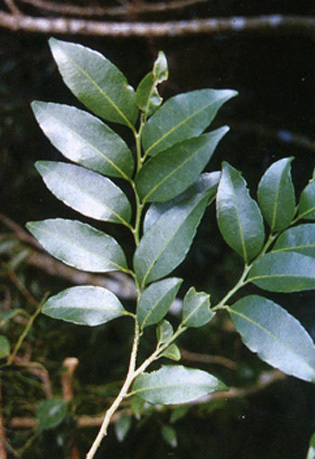 This means that lights can be attached without any worry of falling and damaging the plants. 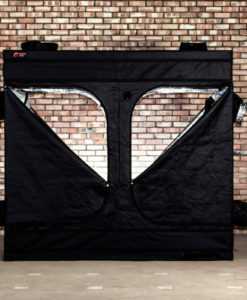 All in all, the construction of this Trojan Tents Tent means a product that will stand the test of time. 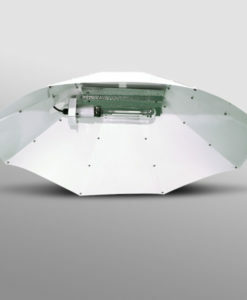 The material is also exemplary. 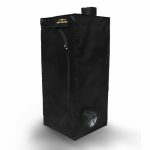 Made from non-toxic materials, there’s absolutely no chance of chemicals in the materials from leaching out and hurting your plants. 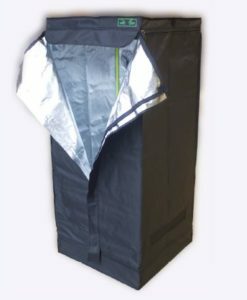 The sock ports can be used to install fans to keep air circulating, promoting an atmosphere ideal for maximum plant growth. 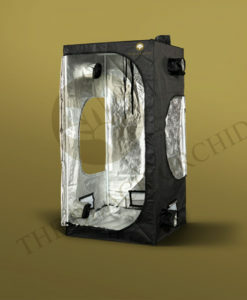 Finally, the material doesn’t relax to light or temperature, meaning this grow room will last through the lives of many plants before showing even the slightest sign of wear. If you’re looking for a grow room that provides privacy and a good environment for your plant, consider this Trojan Tents grow tent today.